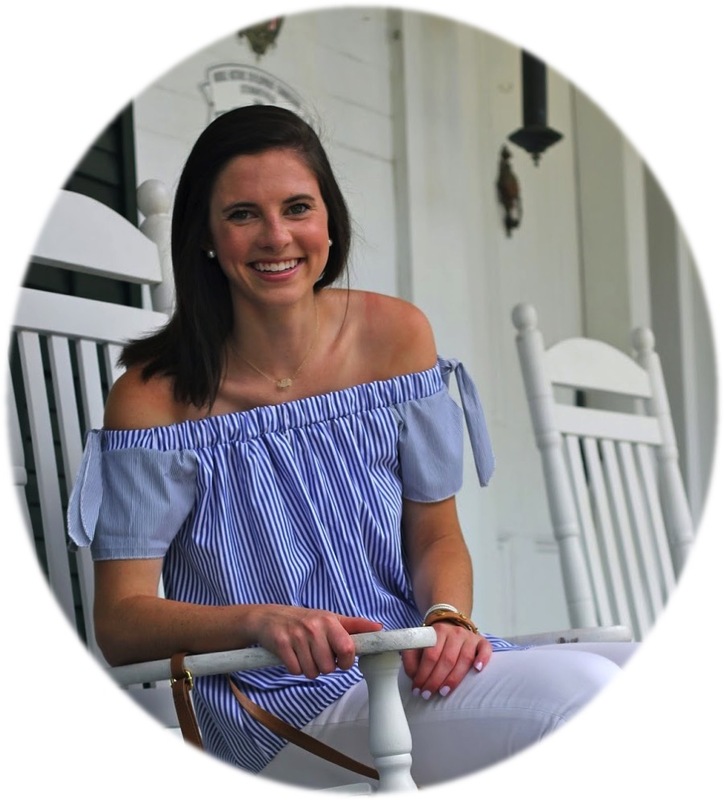 Maybe it's living in a house, or maybe it has something to do with trying to establish friends in a new place, but it seems as though my roommate and I have become quite the experienced hostesses as of late. From a housewarming party to watching football on our back deck and even having a few friends over for dinner the other week it seems as though we are always prepping for something. This week that prep work is for the friendsgiving event we are hosting at our house on Thursday! I've only done one other friendsgiving, and that was my junior year of college, so it has been a while. Our goal for this one was to try to make it relatively easy without losing the feel of Thanksgiving as a whole. 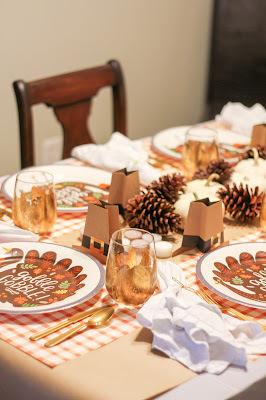 While this is a general idea of what our table will look like, we are actually going to set up two long tables in our downstairs living room so that everyone can sit together. We are planning to use our dining room as the food serving room so that we don't have to look at our mess while we are enjoying our meal. 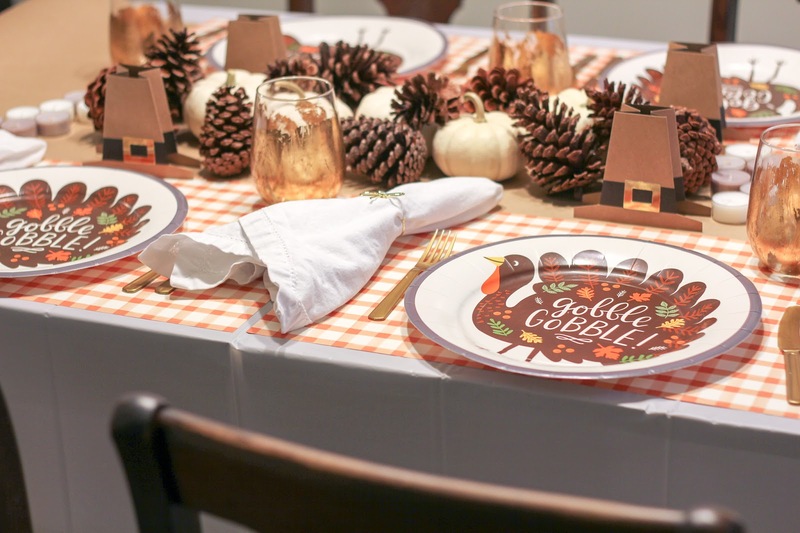 Since we are trying to keep things relatively simple a plastic tablecloth, kraft paper runner, and paper products seemed fitting. 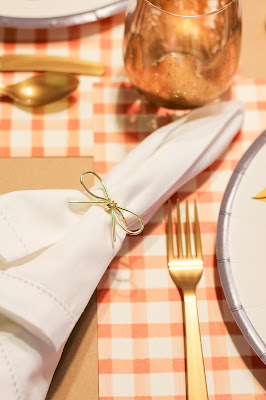 We will probably stick to paper napkins instead of the white cloth ones above, but I do love the way they elevate the look a bit with the gold bow napkin rings I found at Target (for a more formal friendsgiving these gold scalloped chargers would be adorable as well). 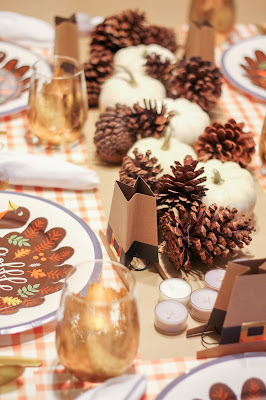 The orange gingham placemats were a fun find that I think tie it all together in a way that looks a little bit less like an elementary school class party. Although, we didn't completely avoid the child-like nature of those events since our pilgrim hat place cards can, in fact, be worn. If we don't end up with a photo of everyone wearing theirs, I'll be a little bummed. 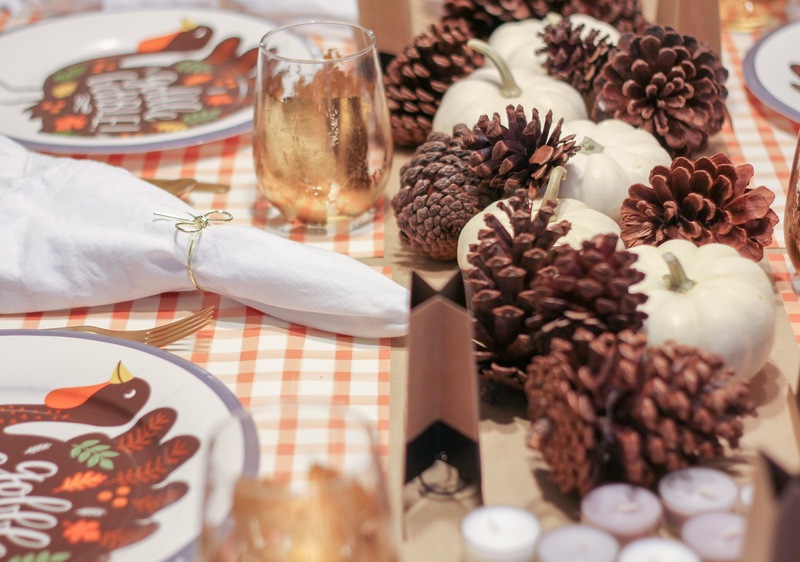 The last thing I did when setting the table was place pumpkins and pinecones down the middle to make a make-shift centerpiece. 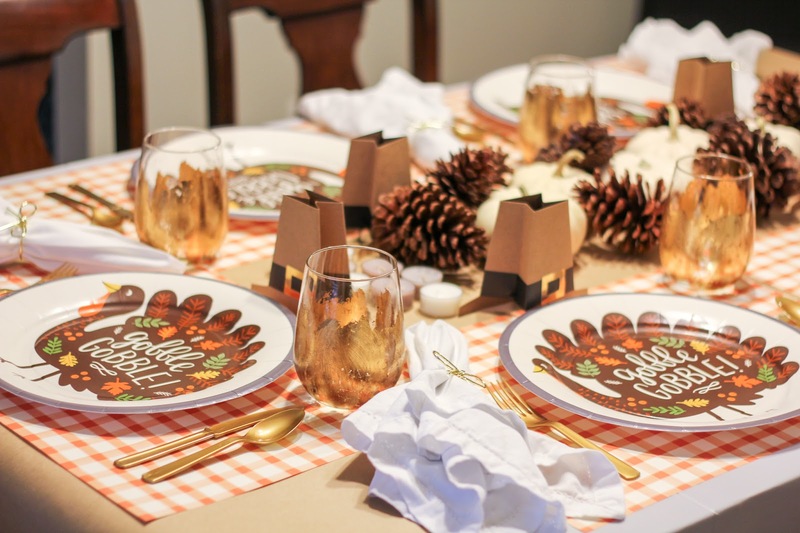 With an assortment of tea candles on either side, it won't be quite as fancy as what may be set on your real Thanksgiving table but fits right in on ours. 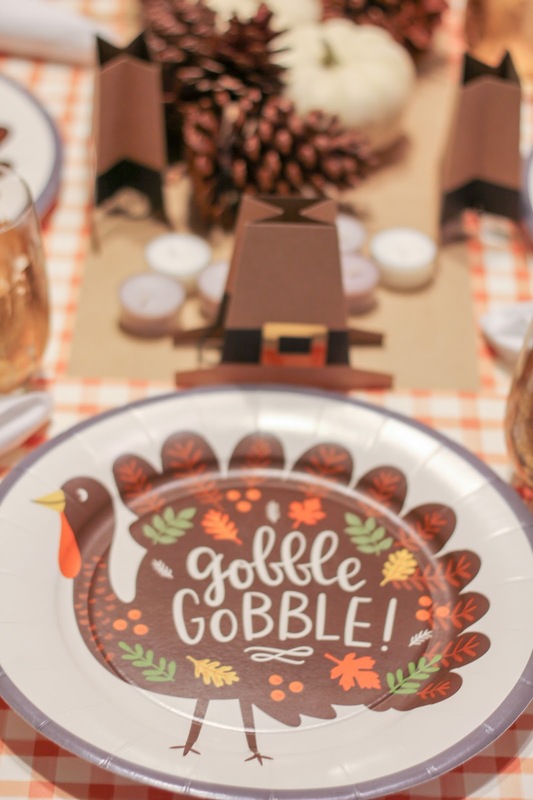 We've divided up food responsibility, our house is pretty clean, and all that is left to do is make sure our turkey is warm when our friends come over tomorrow night! If you have any other friendsgiving tips for us definitely comment them below. I'd love to hear if you and your friends are planning to do something similar!